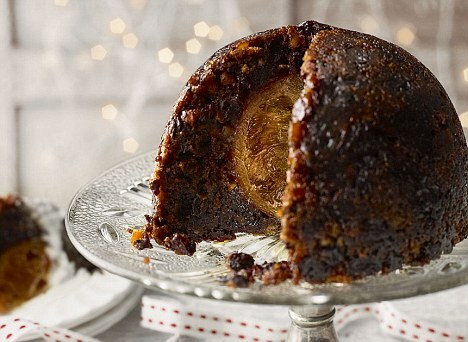 Style from the Suburban Intellect: My favourite annual festive sweet treat, a road test. My favourite annual festive sweet treat, a road test. Christmas is coming fast. We all hate to admit it, but the decs are up in David Jones, the carolers at Indooroopilly Shoppingtown are warming up their tonsils and it is finally time to start thinking about what the hell you're going to buy Dad this year. I'm not a 'christmas' person. I don't object to the festivities, but it's all become so commercial and torturous. I'm not a grinch but I'm not Mademoiselle Claus either. There are however two aspects of christmas that I ADORE. Cannot get enough of them. I cannot eat enough fruit mince pies for the season. I can easily buy one of those six packs from the supermarket and devour them by myself in one night. I'm not even that fussed on quality. I'll eat Coles brand so long as they don't have any candied peal in them. In fact, cheap in better because their manufacture budget doesn't stretch to luxuries like orange rind. I could make them myself at another time of the year but if I learned how to do that, I'd never stop and I would grow in size like a port-soaked sultana. Anyways, I have a point. 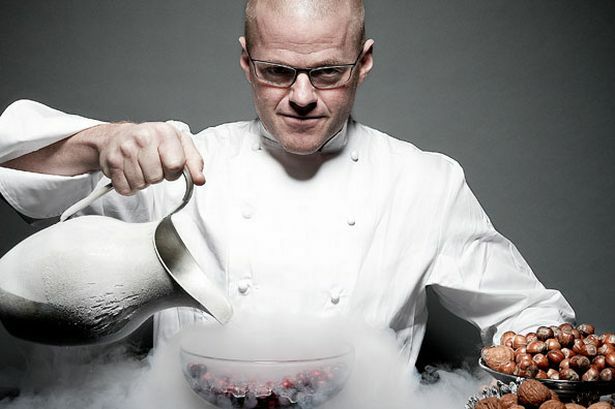 Heston Blumenthal has a partnership with UK up-market supermarket chain Waitrose to create a range of festive treats. These puddings and pies have gone on sale and sold out for the second year in a row. The demand is so great that a pudding that went for 13.99GBP retail is being sold on eBay for up to 250GBP! They are now on sale in Australia through Coles and are flying off the shelves. Knowing this, a work colleague called our local Coles to check when they re-stocked and did a quick shopping trip. I considered getting one for the novelty - I love me some cheap novelty - but skipped when I found out there was a candied orange at the centre of the pudding. However, she did bring me back some Heston Blumenthal fruit mince pies with pine sugar dusting. I might have squealed in a shamefully childish manner. 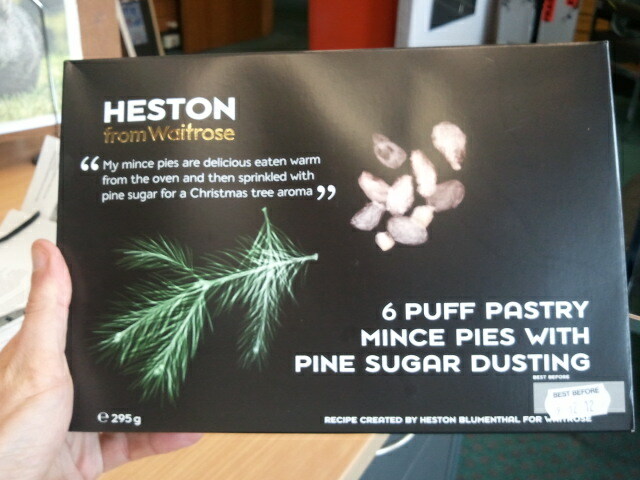 Not because I'm that keen on Heston, but I am that keen on mince pies and they were my first of the year. I had to try them at home immediately. I got so excited I photographed them at work. The verdict; nice. Not amazing. Not Wow! But perfectly tasty. The pastry was flaky and buttery and the overall appearance was more like a danish pastry than a pie. 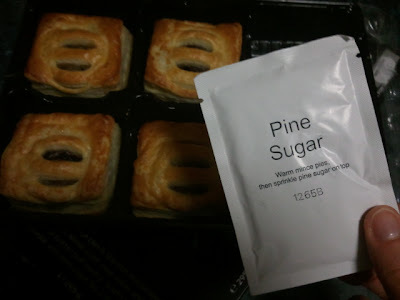 Also the pine sugar dusting – when I opened the packet of sugar and smelt it, it evoked the day I walked through a snow-frosted alpine forest in the far reaches of the world ... and disinfectant. It's not clean unless it's pine-sugar clean. So while it did give my buttery fruit pastry that little extra zing, I had the uneasy sensation of biting into the world's tastiest wipe cloth. This sugar tastes like pine. Still ain't going to stop me from eating my five remaining pastries. All covered in pine sugar disinfectant. Friends, it has been a while.